Calais, a northern port-city of France, is the closest point between “mainland” Europe and the United Kingdom. Because of this, it has seen refugees (the ones wishing to cross the English Channel in order to claim asylum or find work in the UK) since the 1970s, and especially since 1999. They’ve been trying to get there illegally, by hiding in trucks crossing the sea either on ferries or on trains via the tunnel under the English Channel. In 1999, the arrival of a huge number of refugees from Kosovo prompted the French government to open a ‘camp’ to provide basic necessities for them. This camp was run by the Red Cross and lasted just 3 years. 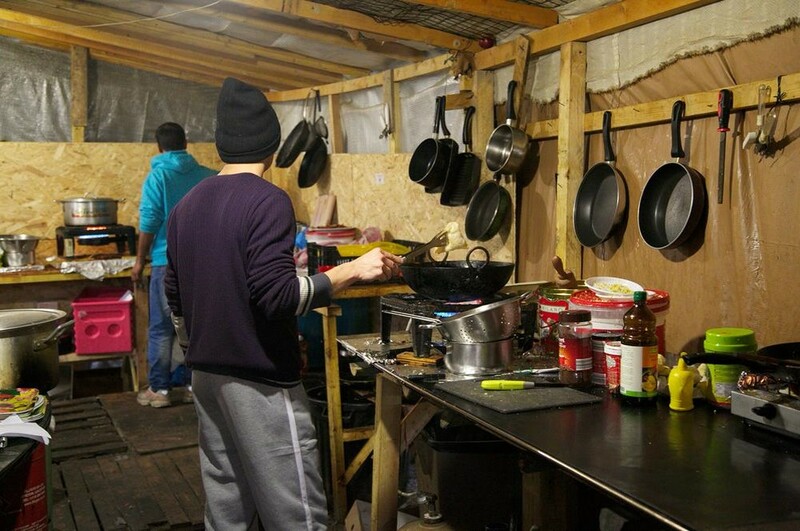 The government decided to close it down because the camp was running at twice its capacity, and the French and British authorities thought that having a ‘proper government camp’ was encouraging refugees to come to Calais and attempt to get to the UK. 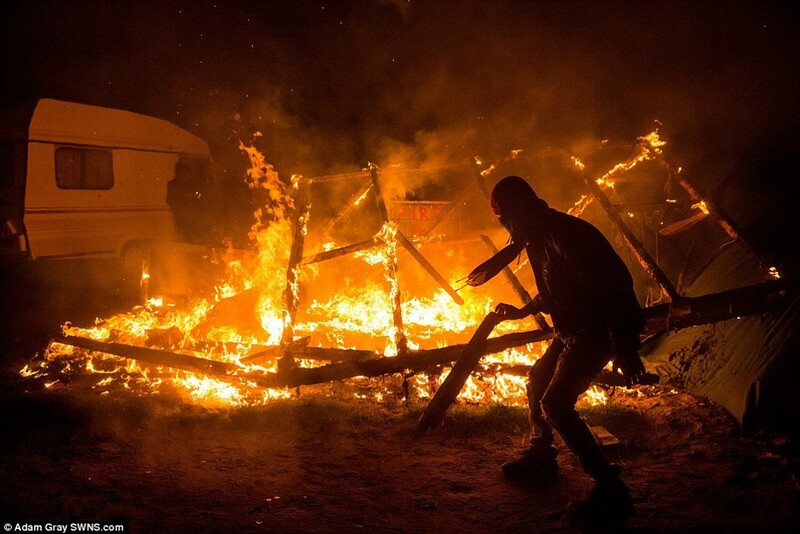 Together, the two governments decided to never open another refugee camp in Calais. But this decision did not make any changes in the arrival of refugees. From 2002 to 2014, instead of people arriving from Kosovo, refugees started arriving in big numbers from Afghanistan as well as from Sudan and other countries. 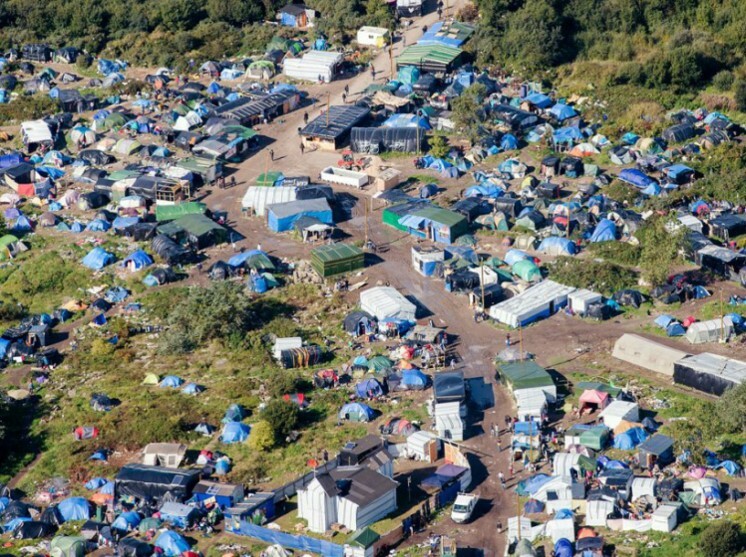 The absence of a government-run camp forced the refugees to set up their own small camps in the woods surrounding Calais (hence the word ‘jungle’ was born, from the word ‘djangal’ which means ‘forest’ in Persian and Pashto). Refugees chose their own places to live (which were always illegal and belonging to private citizens or the city), each nationality would generally select its own section (though there could be some mixing of ethnicities among refugees), and local charities gave them very basic necessities with which to organize their life. These included tarps, tents, blankets, and a few pots -- which were enough to set up a temporary ‘home’. Each culture built and set up their residences in the way most reminiscent of their home country. In walking around the area, one could recognize the building differences in each ‘jungle’, and sometimes, a tent was turned into a mosque. 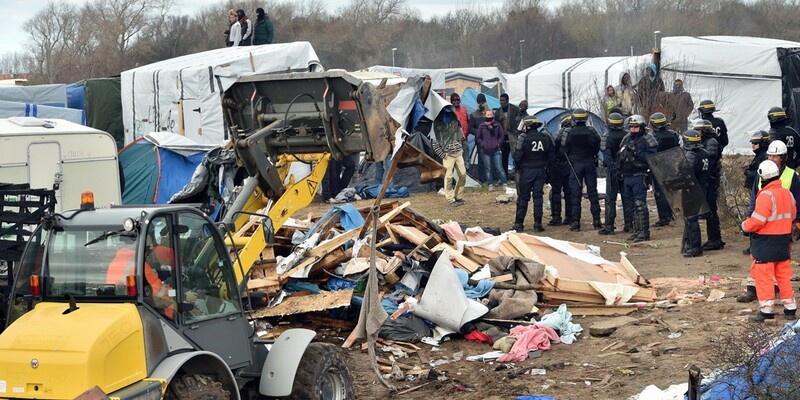 The French government regularly destroyed these camps, but new people would keep arriving, old ones would come back, and the camps always got rebuilt. This rebuilding happened in different areas of Calais, close to the center of the city or, instead, on the close outskirts. 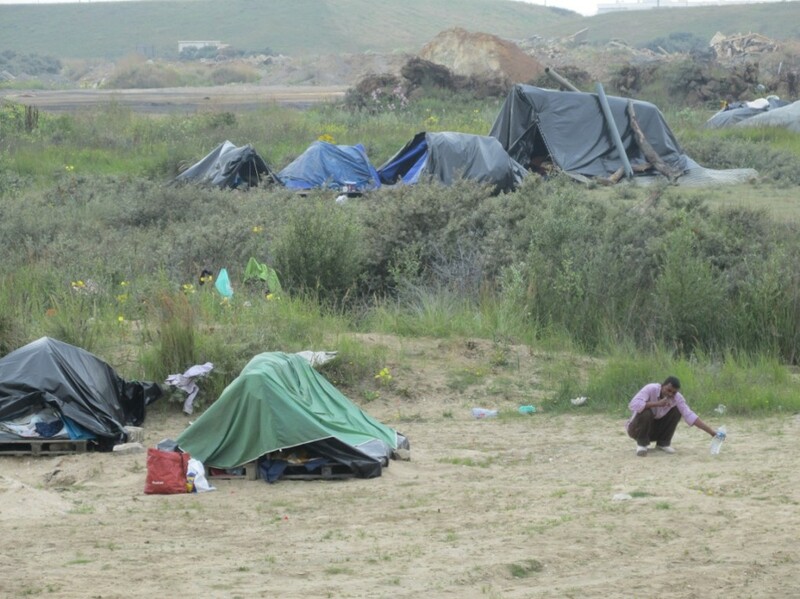 In the winter of 2015, 2000 refugees maintained residences and survived in Calais; they were located in 8 separate jungles spread between the Chunnel entrance and the Port of Calais. 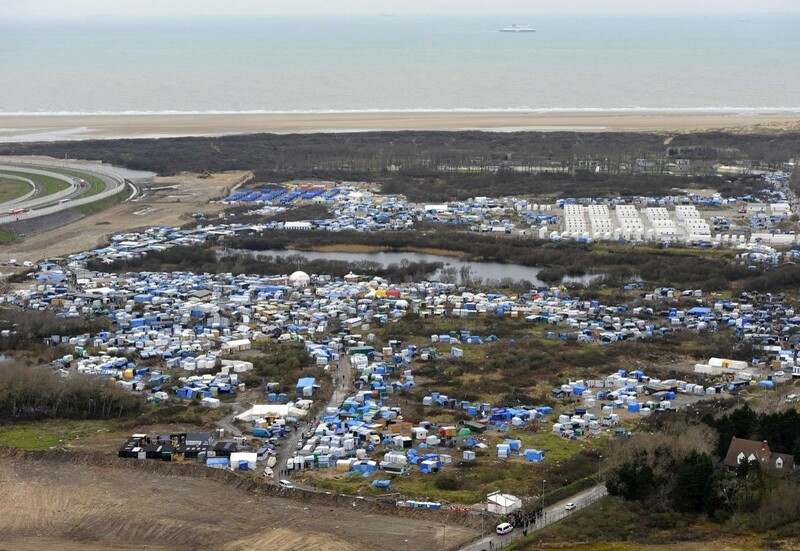 For the first time since 2002, the French government, tired of chasing refugees from one illegal place to another, and wanting to satisfy the demands of the mayor of Calais to not have refugees in town any longer, made a new decision: They told all the refugees they had to leave the current jungles and move to a 30 acre expanse of dunes 2.5 miles from the city center – it was actually a former dump of construction materials, in a seveso zone (zone ruled as chemically dangerous to live on) . The refugees were told they would be ‘tolerated’ there, therefore not chased by the police any longer. On March 29, 2015, the first refugees accepted to move, and within a month, 1000 had joined them. In the next couple of months, the remaining jungles were also destroyed and the last 1000 refugees moved also to the ‘New Jungle’ as it was called by the refugees. It was a huge exodus, with lines of people walking on the roads pushing or carrying their meager belongings, bringing with them building materials they salvaged here and there. For this “New Jungle” was just that: another jungle, dusty and exposed to the winds of the sea, covered with prickly bushes and littered with broken construction materials. It was bigger than any of the other jungles, but all the nationalities had to live there together. The government did not install anything to help make the life of these 2000 refugees bearable: there were no roads, no electricity, no toilets, no garbage pick-up, and only one water point in a far corner of the designated land. The size of the land, bigger than all the former jungles put together, and far away from the city center. 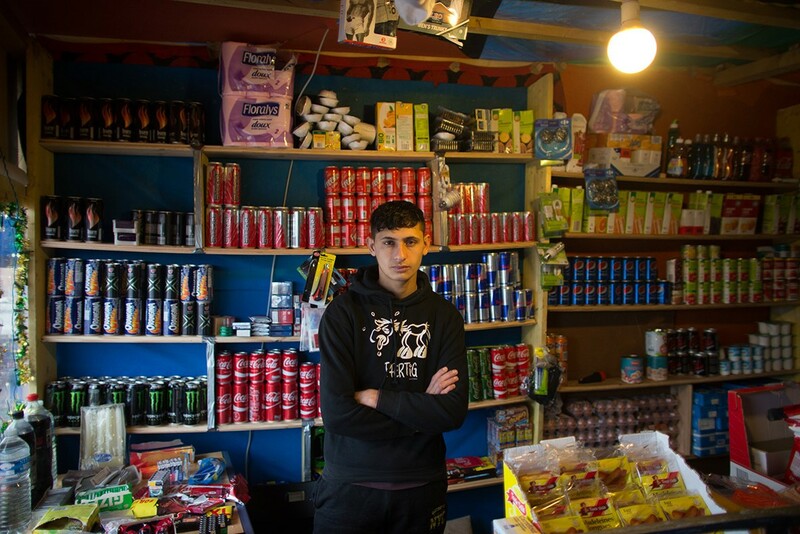 The huge increase in refugees arriving in Europe in 2015, a small percentage of whom came to Calais, bringing the refugee population in Calais to as much as 10,000, with their varied histories, unique needs, own desires, and special creative talents and capabilities. The announcement by the government that refugees would be “tolerated” on this land. This gave the refugees a small promise of stability (albeit a temporary one, everyone knew that this tolerance could end at any time), therefore giving them, for the first time, a small chance to plan, think ahead and build. 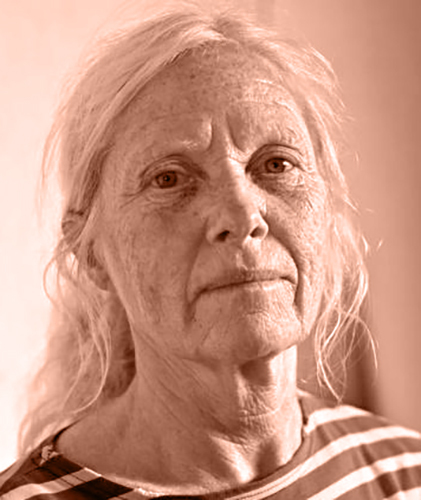 The sudden awareness in European citizens of the scale and tragedy of the migratory situation in Europe and in Calais. This happened first in July 2015 (a 2 week long strike of ferry employees created massive traffic jams on both sides of the Channel and hundreds of refugees climbed onto the stopped trucks); then in September 2015 (Little Aylan Kurdi’s dead body was found on a Turkish beach). This awareness triggered huge compassion from all over the UK, Belgium, France, and the rest of Europe. Hundreds of European volunteers started coming to Calais with many vans loaded with goods to distribute to the refugees. The volunteers did not come just once or twice, many stayed, and new ones kept coming and they are still there volunteering today. They brought not only goods to share, but their creative ideas, their energy, their desires to make the situation better and their deep humanity. The French government losing lawsuits filed by the local associations against it, and forcing it to install toilets, water points, electricity, and basic road infrastructure. The arrival of national and international non-governmental organizations (NGOs), such as Doctors without Borders, and of many smaller charities (many created just at that time) and foundations that came bringing their help and expertise. All those facts coalesced together to create a city in 9 months, with as many as 10,000 residents: about 35% Afghans, 35% Sudanese, and the rest a mixture of Eritreans, Ethiopians, Pakistanis, Kurds, Iranians, Syrians, and a few other nationalities. A mere week after moving to the land, Afghan refugees built their first mosque. At the height of the jungle, 7 mosques had been built, one for each Muslim community. Two Christian churches were also built by the Eritrean and Ethiopian communities, one Orthodox and one Protestant. All of these places of worship were run by the refugees themselves, built partly with the donations of religious organizations, and partly with sheer refugee resourcefulness (The 90m2 church was built with only a couple of hand-saws, hammers and nails, not even a ladder!). Imams and priests were found among the refugees. They organized praying times and celebrations and also played a crucial role in keeping the peace in the jungle-city, acting as peace-makers and problem-solvers when a disagreement or fight occurred between communities. Refugees (most often Afghan or Pakistani) were quick to see the distance of the jungle to the city center as an opportunity. They brought shopping carts full of goods they bought in the closest city stores and then resell them for a 10% or 20% profit in little shops they built for the occasion in the jungle. Because in May 2015, with only a few local associations present on the ground and still we lacked everything while the refugee population was increasing very fast, refugees saw other business opportunities. They built restaurants (they sold hot food 24/7, an important service offered to refugees who tried all night long to get into trucks and would be starving at 5 AM when they ended their chase), and even “hotels” (offering a dry place to sleep to new arrivals was also very useful as the local associations did not have enough tents for everyone). 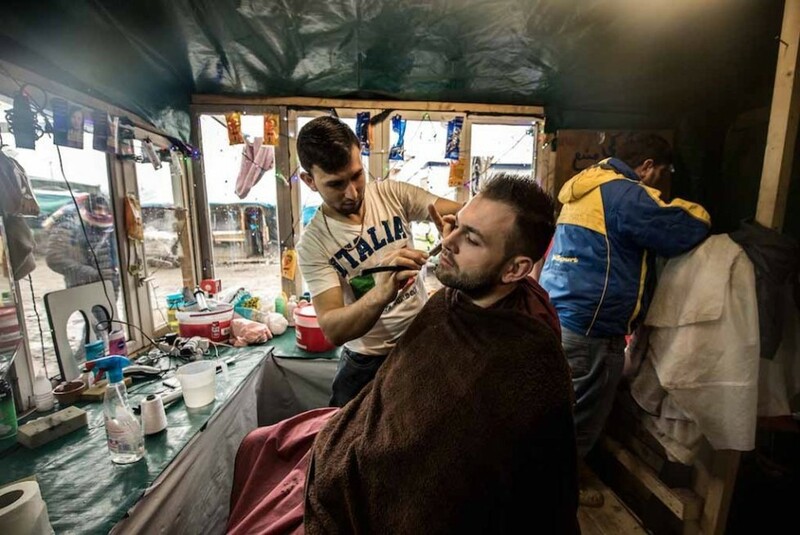 Later, the refugees opened barber shops (9,000 people needing haircuts!) and hammams (because of too much waiting at the government showers). Other refugees (all Eritrean) built bars, playing music till the wee hours of the morning, a distraction for these refugees who took a nights’ rest from what they simply called “trying”. Two French volunteers saw the need to provide a way to charge cell phones, and came every day with a generator and many plugs to provide this service, free of charge, of course. With the generator running, they also played music which provided some relaxation and a measure of joy. Communities would dance and laugh and forget for a short time their situation. Later, all the restaurants would buy their own generator, and even TVs, and then that service was no longer needed…two volunteers set up movie sessions in various centers of the jungle to provide entertainment to the scores of refugees. 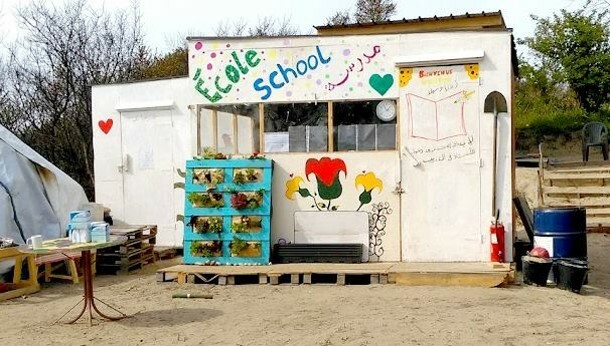 Some refugees saw the need in providing French lessons to those who either had asked for asylum in France (but had no lodging because they had their fingerprints in another country and therefore needed to wait 6 months in order to have a chance to get it) or those who were keen on going to the UK but wanted to learn English. Volunteers joined with them and they raised the funds and manpower to build the first school, made of plastic and wood. At its height, 4 schools and one library, complete with a small radio station, existed simultaneously in the jungle-city. Classes were given by volunteers, sometimes even by refugees, and other trusted refugees took care of school security. 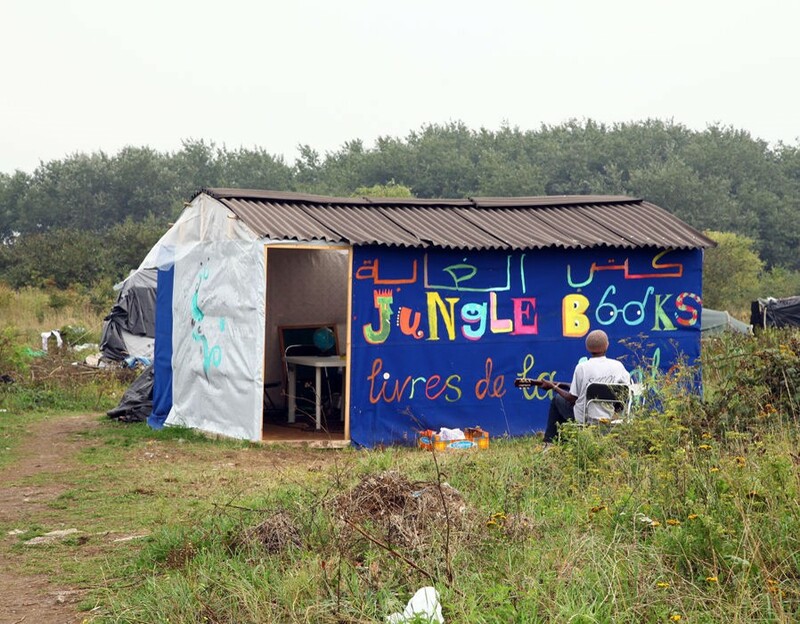 Some citizens built a theater in the jungle, others a legal center. Doctors brought caravans loaded with supplies and gave basic medical and dental care. Other refugees built and organized a women center, a teen center, a free kids café, and also organized the first cleaning business and the regular collecting of garbage. 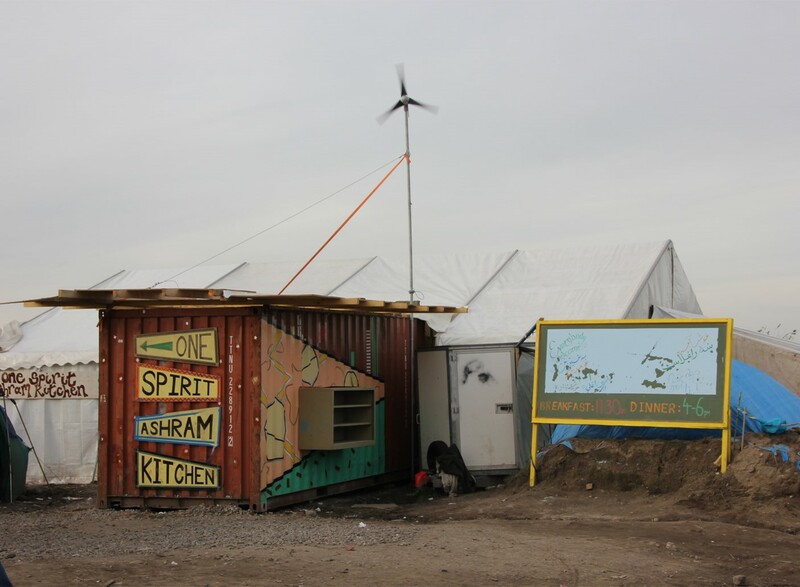 From November 2015 to January 2016, hundreds of volunteers from all over the world worked on building 1500 wooden and plastic shelters, much better than tents, in an attempt to house refugees properly during the very cold and wet winter months. This could only be done with huge monetary donations made by citizens from all over Europe (and sometimes from further away). 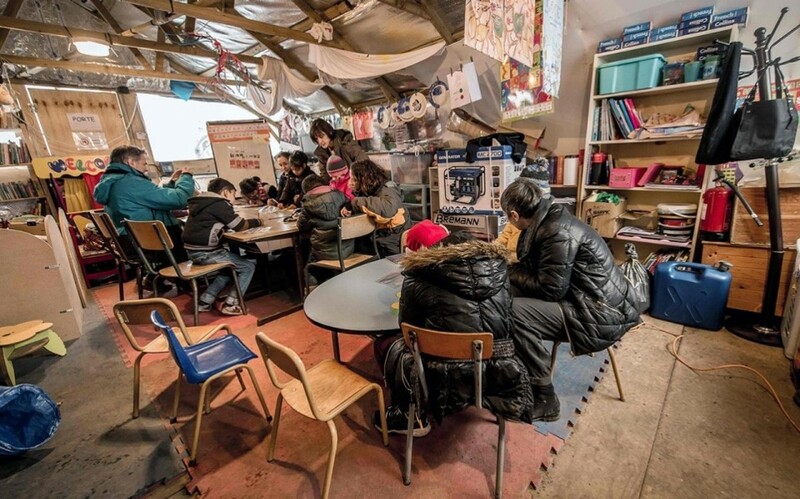 Refugees used all supplies available to them (donated, found, salvaged, sometimes bought in second-hand shops) to organize and build their own lives according to their cultures, their desires and priorities. For example, Afghans did not care much about their housing, and were more content building a shop with a couple of associates which they kept open 24/7 and slept in turn in a tiny corner of it. Sudanese spent much time thinking and organizing themselves in communities of 10 or 50 people, setting up their housing in a square compound shape, with a protective barrier around, and set spaces for communal cooking (done in turns) and sleeping areas, with an official entrance and a meeting place in the middle that included a fire for conversations with guests and among themselves. Each group of people got to choose and set up their living space according to their cultures or what they saw as a necessity. 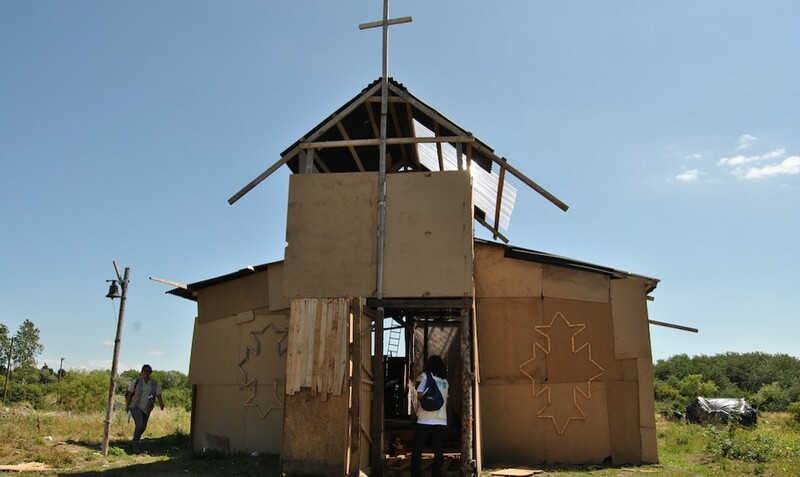 There was no pre-determined set-up: even shelters were often built by the refugees themselves who used the wood and nails given to them, and then they themselves came up with a building plan all of their own. Refugees found ways to make some money in this jungle-city, some a lot and many not much, but enough to keep surviving. From my observations, Afghan and Pakistani refugees built the bakeries, the shops and the restaurants; Eritreans opened the bars; Sudanese queued for whatever was available from donations of European citizens and started the evening trading market. Syrians stayed somewhat separate from everyone else and were totally focused on wanting to cross into the UK. A couple of local French people were even known for making money in the jungle by offering an informal taxi service to the shop and restaurant owners to go into town to buy supplies. This is an exception, of course, for 99.9% of the volunteers coming to the jungle, whether part of associations or independent, spent much of their own money providing help that was desparately needed. It is in late fall 2015, when both the number of refugees and volunteers were climbing steadily and much talking about this expansion was going on, the need was seen to converse seriously about the best way to do things in this jungle-city. Volunteers wanted goods to be distributed as fairly as possible; refugees asked that it be done in the most dignified way possible. This conversation led to the start of twice-weekly meetings with community representatives and association coordinators. First taking place in an afghan restaurant and later moved to a coordination office built just for that, these meetings allowed refugees to organize distribution points inside the jungle that were used to keep each other informed of problems, to look for solutions, and to make decisions together. The process allowed each to share his/her own valid viewpoint, and learn to work on a common project: How to make this jungle-city the best place it could be. The government made some efforts, though far from enough, toward the refugee situation. They slowly plied to their obligations to set up some basic infrastructure (some toilets, water points, electricity, and garbage pick-up points). They installed a day welcome center where refuges could take showers (500 could take showers each day…far from enough, since the population reached 10,000 in May 2016), where they served food to as much as 4,000 each day. 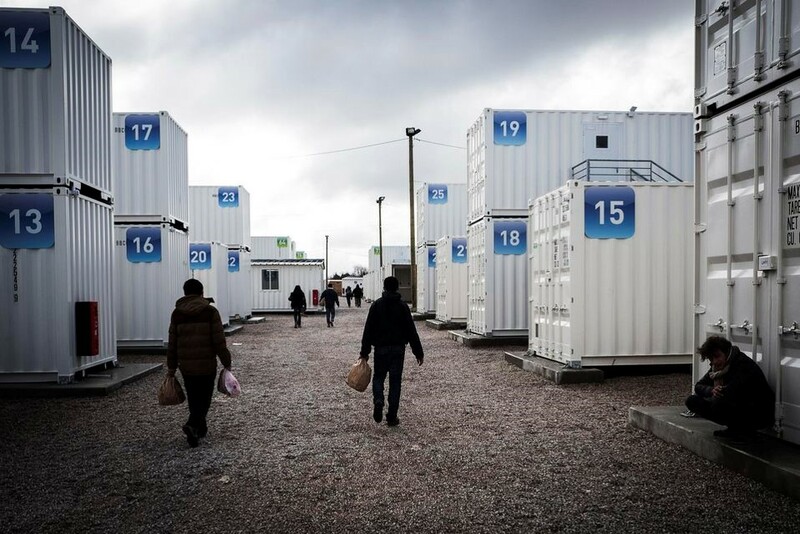 The French government installed a ‘container camp’ - giving places to sleep to about 1500 persons, and a women’s center that housed 400 women and their children. And in the end, the government also instituted meetings with community representatives to discuss local issues and concerns. Basically, the diversity of volunteers, associations and refugees created and made up for what the government provisions did not provide at all, or that were delayed, or lacking in meeting the real need that existed. In 9 months, a full-size city has been created, the second largest city in the region of Calais, complete with schools, places of worship, shops, restaurants, legal center. A city without a mayor, run by a large panel made of residents from each community as well as volunteer organizations. First, in January 2016, they truncated the jungle of a 100 meter zone around it, officially for security reasons, forcing all the refugees living in this zone to be relocated in the middle of the jungle, thereby increasing the number of residents in that space, and slightly disturbing the fragile balance of thousands of human beings living in conditions that remained precarious, in spite of all the work done. In February, they announced they would be destroying the better half of the jungle-city, known as the Southern Zone, which contained most of the communal infrastructures. The associations took the government to court, showing that the population in that area was 3 times what it claimed, but they lost and the zone was destroyed in less than 3 weeks, starting on February 29. Some people moved to the government-run container camp on site, which was quickly full, but most people relocated to the Northern Zone. This forced relocation made that zone very crowded and, most gravely, disturbed the way the various communities had organized themselves. The different ethnic communities had learned to live very close to each other, but kept some separation. To make things worse, the government had said it would destroy the Northern Zone right after the South Zone. They didn’t act on that promise right away, but the uncertainty over this prevented people from rebuilding and reorganizing themselves. The jungle was like a bird who had lost one wing, it could still hobble around but not fly any longer. The over-crowding and uncertain future of the jungle made people edgy and some fights occurred; shelters were burned in the heat of the fights, making the situation even more precarious. 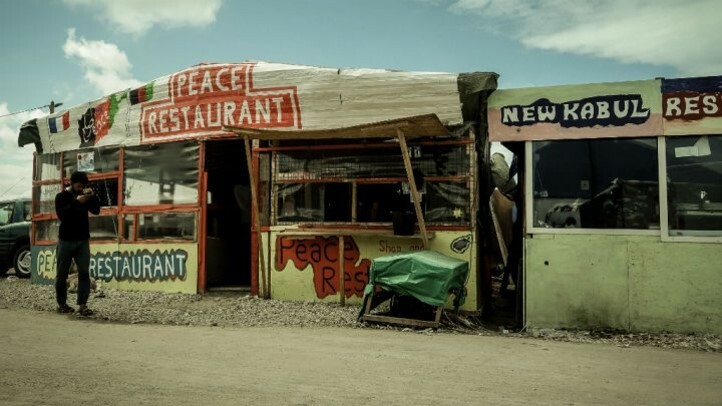 In June, after a promise that the jungle was not going to be destroyed, a new spurt of life took over the jungle; more restaurants and shops were built. This is also when the government started having meeting with community representatives. There seemed to be some new hope for this jungle-city… alas, it did not last long. In August, the authorities closed down the shops and restaurants on the grounds that they were not legal and did not follow sanitary requirements (in a jungle-city where the government itself was not following its own laws!). The owners would sneak in and open at night, but life conditions started deteriorating nonetheless. Over 1,000 minors now lived in the jungle, in dangerous conditions. 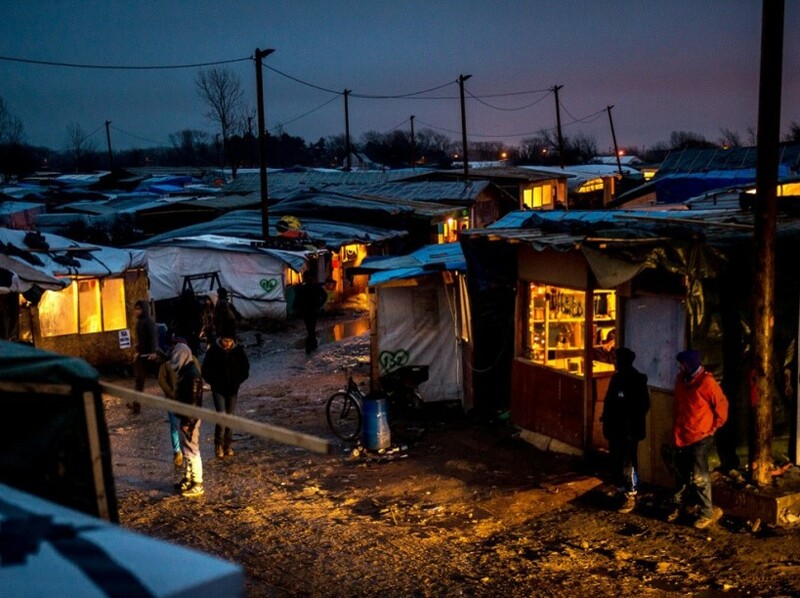 The jungle-city was destroyed in late October 2016, after 5,000 refugees were taken to accommodation centers throughout France, to rethink their migratory projects. 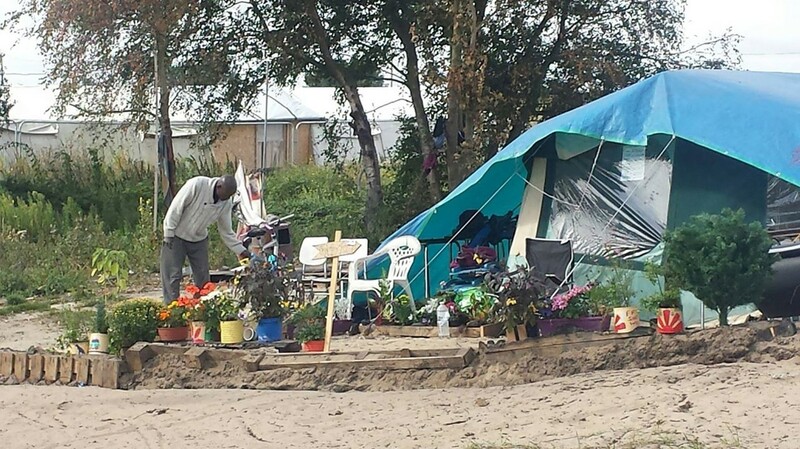 The other refugees went to the other camp in Grande-Synthe, 40 Kms from Calais or elsewhere. Some remained in Calais, hiding in volunteer homes or sleeping in the woods, with only a blanket to put over them. 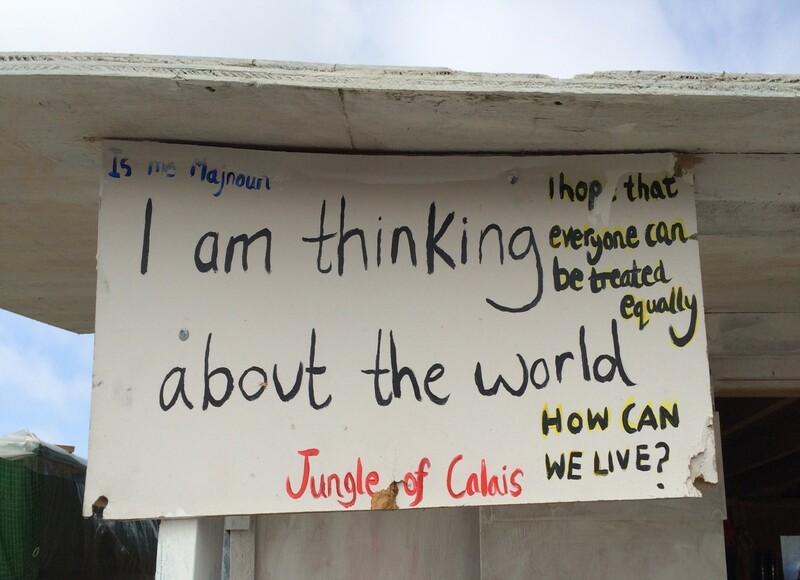 In April 2017, the situation in Calais is what it was 4 or 5 years ago, even worse, as the government is intent on pretending that there aren’t any refugees left and therefore no jungle can start again. The police are everywhere, controlling both refugees and volunteers, stealing blankets, beating the slow runners. Even food distributions are a problem: the government is trying to close down our kitchen, expecting an association to run a free kitchen like that of a proper restaurant. The jungle-city of Calais had become a city, which for a while became known, all over the world, for its horrible living conditions. It was not a proper refugee camp because it was not run by the government, and had both more and less than the requirements of a UN-approved refugee camp. It was a loosely self-organized world-city, made of citizens who had left their countries because of war, threats, or terrible living conditions. 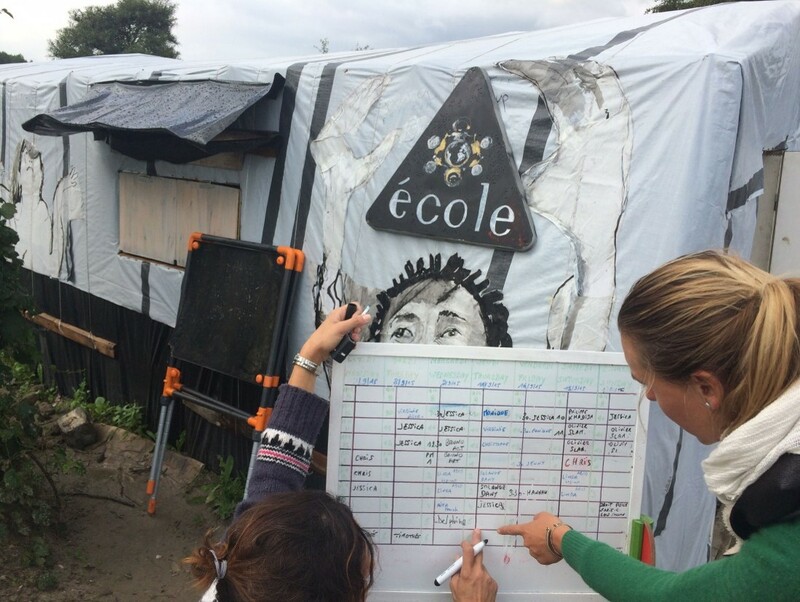 Others had left for a week or a year their comfortable lifestyles in Western countries in order to meet, share with, help and co-create with the first refugees who occupied Calais Jungle City. Some European citizens lived in the jungle, having discovered the huge humanity of such a place, in spite of the difficulties, and more were wanting to come. The jungle-city of Calais was a random decision from the government that started with the only intention to push refugees out of town. It was just beginning to be known for its very unique make-up, for the possibilities ahead. It was not a utopia and was far from being perfect. But it ended up showing clearly all the potential that exists when refugees and local citizens have a place where they can share their expertise, their dreams, their know-how and can co-create. When thinking of how to design a perfect refugee camp, one needs to involve the potential residents and give them the chance to decide and build for themselves. Better than any of us, they know themselves, what they need to keep their dignity and their pride, what they need to first survive and then thrive. And we, in turn, can learn so much with them.